Predictive Solutions works with organizations to deliver actionable insights on workplace risk while creating a lasting culture that eliminates incidents. Fill out the form to request a demo today! We'll work together to uncover which solutions best fit your business needs. SafetyNet is the leading safety management system for saving lives by predicting workplace injuries. It employs advanced and predictive analytics to keep you ahead of disaster. 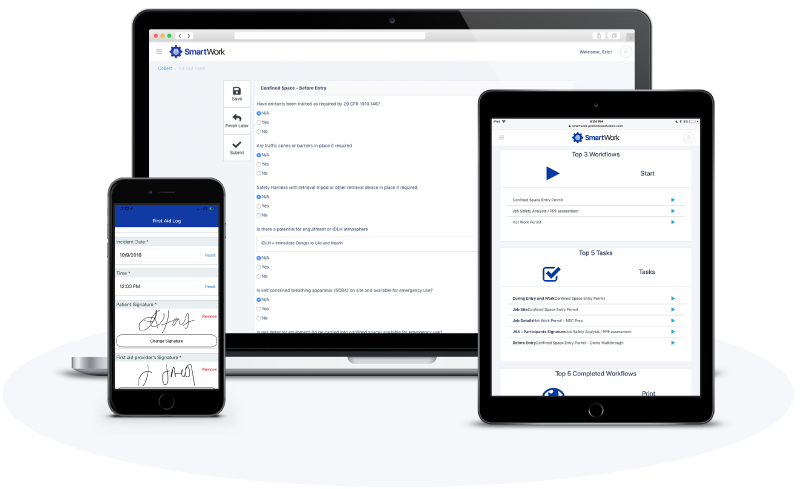 SmartWork is a web and mobile-ready app that brings efficient workflow processes right to your job sites, accelerating the approvals and processes for permit work, JHAs/JSAs, and job site management.